Needed a pick me up. from Spirit and the pick me up. So, I had to share this. Please note as I share this information with you, that there can be various meanings behind what our bodies store and what our bodies communicate. This is my interpretation from my education and years of experience working with a multitude of people (and bodies). The abdomen is one of the most sensitive or rather vulnerable parts of the body that stores our emotions and experiences – positive and not so positive. The abdomen is not often freely exposed to others and the abdomen may not be touched by another or self on a regular basis. When was the last time you consciously touched or placed your hands on your abdomen for more than 5 minutes? I’m not talking about rubbing your belly after Thanksgiving or indulging in too many sweets and saying “I shouldn’t have’ or ‘Make it stop.” When was the last time some one close to you placed or laid their hands on your abdomen? And if so, how long did you allow that to happen? The fetal position innately protects the abdomen area, when we cry or laugh a lot, often it’s a natural response to cradle the belly. When someone becomes too close in our personal space, we may innately interlace our hands in front of our abdomen area. We subconsciously ‘protect’ our vulnerability by ‘protecting’ our belly’s on a daily basis. The body itself is a storehouse of emotions, but I find that the abdomen in particular is a major storehouse for our emotions and experiences. When emotions get suppressed, it’s literally swallowing those emotions – down the digestive tract they go to the belly to sit undigested in the nervous system and muscular system and impacting the immune system. People will often begin to swallow when an emotion like sadness surfaces. When I work with someone, I look first at the abdomen. Is the belly taut and/or extended (like beer belly), with taut meaning no give in the musculature or skin. Think of the Pillsbury Dough Boy, I know it’s an animation, but it’s how my mind works. When he’s poked in the belly, his dough is pliable and moves back. In a taut belly, there is no give and if you thump the belly, it will have a somewhat hallow sound. When I see this, I also take into account stress levels (cortisol hormone flooding the nervous system ) and the energy centers of the body, specifically the second Chakra. The abdomen houses various major and minor muscles as well as 100 million neurotransmitters. Cortisol, the stress hormone (activated by suppressed emotions/experiences) can cause weight gain in the abdomen area by flooding the nervous system (neurotransmitters). The muscles can be overstrained and tight. Ok- now for some physical ‘consequences’ in healing: I find that when people are ready to let go of what they have been stuffing emotionally, there usually follows a gag reflex or literal vomiting of food or dry heaves. There may also be a gurgling within the digestion, flatulence or a letting go of the bowels – to put it nicely. This is the energy being discharged from the body or rather regurgitated back up through and out the digestive system to be released. Lie down in a quiet space (5-10 minutes if you have it) and place each hand, resting on your abdomen and breathe deeply into your hands. Feel your hands move with your breath and notice what happens, if anything in your abdomen. People often don’t realize that their bodies are continuously speaking to them, giving them information in seconds. Your body registers the temperature of a room upon entering, the heart beat of another, the light in the room making your eyes adjust, your body registers the safety of the situation, and the recognition of people (do you know anyone in the room?). All of this happens on a subconscious level. Often, we continue moving throughout our days without any stillness to register what our body is actually feeling and communicating. However, if you ever used the terms, “He/She’s a pain in my neck,” “I’m sick to my stomach,” or “My heart is broken,” then your body is clearly speaking to you. Along with the brain, the gut (abdomen) has the most concentration of neurotransmitters and these neurotransmitters/neurons receive and send information to the brain as well as one’s environment. The gut is often considered the ‘second’ brain, even though the abdomen (gut) sends and receives much more information to the brain than the brain sending information to the gut. Of course, in our society, I think it would almost be blasphemy to say that the second brain is actually the first brain, because we make meaning from the cranial brain. However, many cultures and indigenous populations view the abdomen or gut ‘instincts’ as being the first brain, the more important, knowledgable brain while the second brain is relegated to the less trustworthy cranial brain. The abdomen (Gut) contains around 100 million neurons, more than the spinal cord, which is part of the Central Nervous System. Because of this element (Central and Peripheral Nervous System), the body is the storehouse for your experiences and trauma: accidents, emotions, surgeries etc. It’s no wonder that a person’s digestion can become blocked due to anxiety, stress, and unexpressed emotions. When working with people, I often ask them for any physical ailments. I ask for any consistent indigestion or other digestive issues including heart burn, acid reflux as well as I look for any extended belly’s and weight-bearing in the abdomen. I then usually ask the client “What is going on in your life that you are not digesting, that’s not sitting well with you?” This is often something that the individual is attempting to make ‘ok’ or rationalize in their life but it’s not working for the body (Nervous System, Intuition). 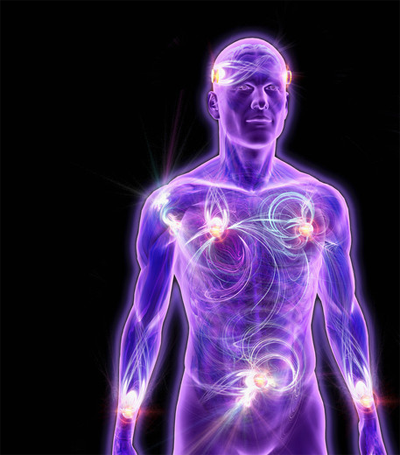 Therefore, it becomes stored energy responses within the body. The body has many signals of information that it tries to communicate to you and we’ll take a closer look at specific areas of the body and its signals in the following posts. Sit comfortably in a quiet space, eyes closed and connect with your body through gentle breathing. You may want to bring your attention to your breathing, the rhythm of your exhale and inhale. During this breath as you notice your heart rate decrease or increase (hopefully it decreases), sounds you hear, skin sensations, or smells, Notice any tension or physical pains that you have or had. Just notice what your body is telling you in that moment through your senses and follow that sensation for a moment. Then return your focus to your breathing. You can repeat this exercise multiple times each time noticing any changes in tension or physical pain once you return to breathing state.